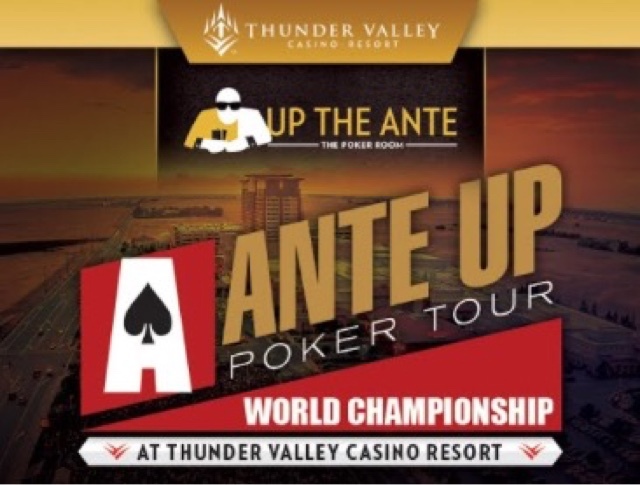 The 2017 Ante Up Worlds awards a $500,000 Guaranteed World Championship seat this weekend to the player with the best finishes from the first 14 series tournaments, plus a one-night stay at Thunder Valley. 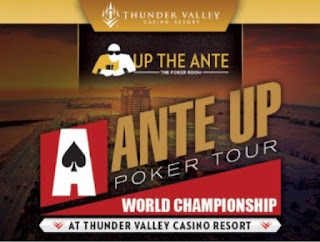 While the chase for the top spot is a two-person race, 83 players are still in the running to win one of the three prizes being awarded. 2nd place earns a $200 award to High Steaks Steakhouse plus a one-night stay at Thunder Valley. 3rd place earns a $100 award to Red Lantern and also a one-night Thunder Valley hotel stay. Mason Rosenberg leads the series points race with 320 points, his points increasing by virtue of his finish in today's PLO8 tourney. Mike Postle is currently in second with 226 points, his points increasing from his finish in today's Action8 final. Unless Rosenberg makes the final 8 and earns 50 points. If Rosenberg does not cash, Postle can finish 2nd for 90 points, and get a 25-point Bonus for his 5th series cash, moving him to 340. The 125 points for the Head-To-Head winner can move any of the players in the top 83 up to 3rd place, so the prizes are up in the air until late tomorrow night.